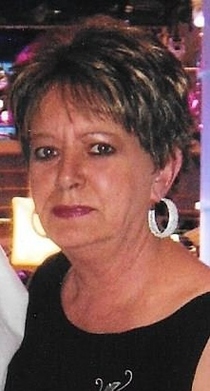 Obituary for Ellen A. MacColl | Adams Funeral Home Ltd.
Ellen Ann MacColl, wife of Byron MacColl of Black River Bridge passed at her residence on Thursday evening, January 24, 2019 at the age of 64. Born in Newcastle, on March 30, 1954 she was the daughter of the late Fred and Rita (Fitzpatrick) Cassidy. She worked in Administration for many years with D.N.R. She is survived by her husband Byron MacColl; four daughters: Kim Taylor (Chris) of Napan, Kerri Witty (Jason) of Newmarket, ON, Shelly White (Aaron) of Napan Bay and Angie MacColl (Mark) of Napan; one son: Jamie MacColl (Mary) of Black River Bridge; eight grandchildren: Kristyn, Zac, Brandon, Makayla, Harlie, Tyson, Tyler and Teagan; one sister: Anne Comeau of Miramichi and one brother: Daryl Cassidy (Margie) of Miramichi; also the family pet Teddy. She was predeceased by her parents, sister Lois Mills, brothers Kenny and Keith Cassidy. Visitation was held at Adams Funeral Home Ltd., 140 King St., Miramichi on Monday from 1-4 pm. Funeral service was held at The Point Church (Wellington St.) on Tuesday, January 29, 2019 at 11am with Rev. Cecil Simms and Rev. Kevin J. Matthews officiating. Music for the service was provided by Jacqueline Allain and the hymns were “My Forever Friend” and “Go Rest High on That Mountain”. “I Won’t Have to Worry Anymore” was a music video played and “I Can’t Help Falling in Love” was played by granddaughter Makayla Witty. Special readings “If Tears Could Build A Stairway” was read by Kim Taylor and “God’s Garden” was read by Kristyn Taylor. Scripture readings was read by Makayla Whitty and words of appreciation was given by Kerri Witty. Interment will be held in the Black River Community Cemetery later in the spring.